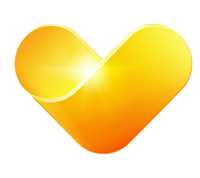 The Thomas Cook UK & Ireland Head Office is in Peterborough. It’s a thriving business hub housing over 1,000 people. We also have a corporate Head Office in the City of London, with over 200 colleagues, it's a great atmosphere for collaboration and innovation. There are few industries more exciting than travel. And you’ll be part of a global group that’s famous for taking very good care of its people both at home and abroad. With nearly two centuries of history and innovation behind us, we’re a trusted brand that’s working to make sure that it gives its 22,000 people and 23 million customers exactly what each of them wants – in their career, or in their holiday. Wherever you join, Peterborough, London, Manchester, Falkirk or one of Retail stores, you’ll be part of a powerful brand with a 175-year history of innovation in the travel industry. At the same time, you can enhance your career. And gather experiences that you’ll remember for a lifetime.